I have a job that I enjoy but feel stuck..missing the "meaning" and connection to it. I'm in the process of exploring other opportunities and didn't realize I was in the midst of a do over. 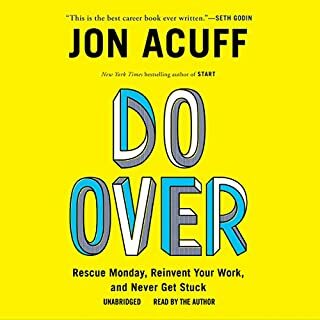 Thank you John Acuff for giving me some tools to maneuver through this and for offering stories that make it okay to contemplate a do over at 47!